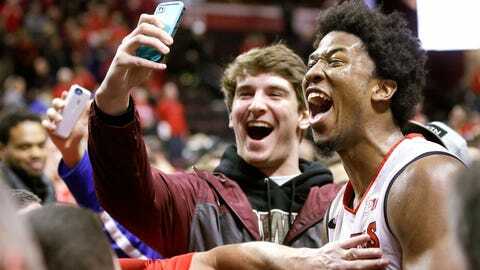 INDIANAPOLIS — The Indiana Pacers signed former Rutgers star Kadeem Jack on Wednesday. Adding the 6-foot-9, 235-pound forward to the roster gives the Pacers 18 players in training camp. Jack joins first-round draft pick Myles Turner, second-round picks Joe and Rakeem Christmas and C.J. Fair as the only rookies in camp. Christmas was acquired in a trade with Cleveland. Indiana returns to action Thursday night when Orlando and former Indiana University star Victor Oladipo come to Bankers Life Fieldhouse. The preseason game was originally scheduled for Friday but was moved to accommodate Game 3 of the WNBA Finals, which will be played Friday in Indianapolis.